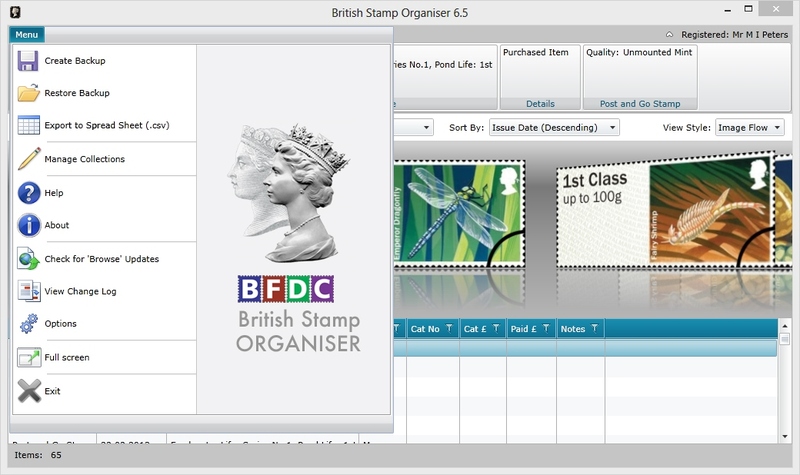 I have been using the latest version of the Stamp Organiser since early in the year; and the more that I use it the more I am impressed with its abilities and facilities. 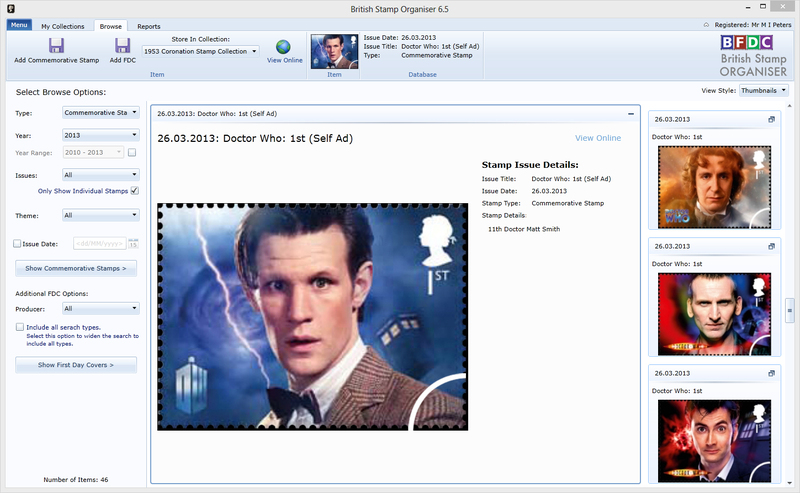 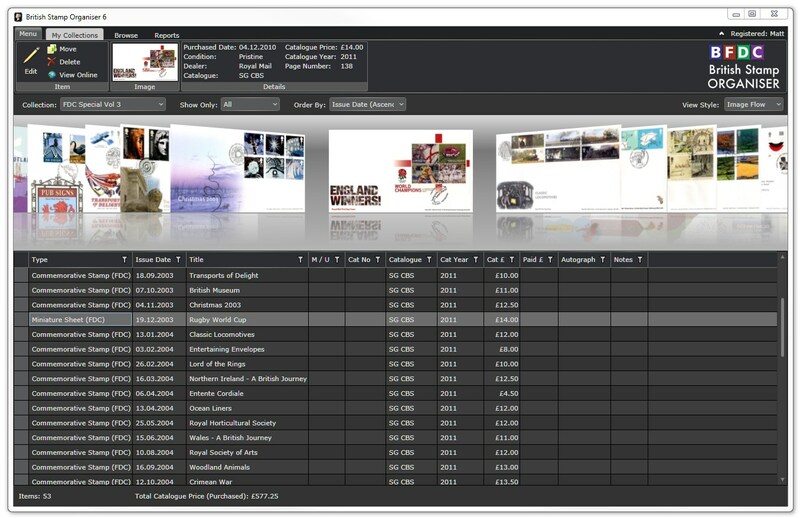 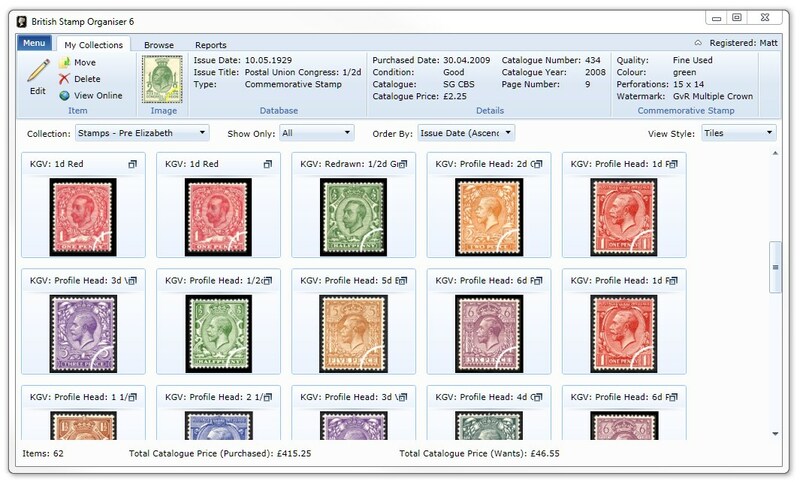 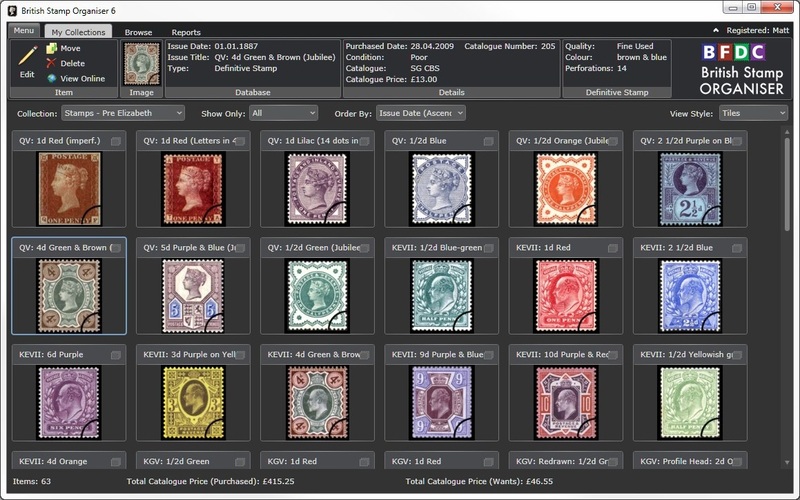 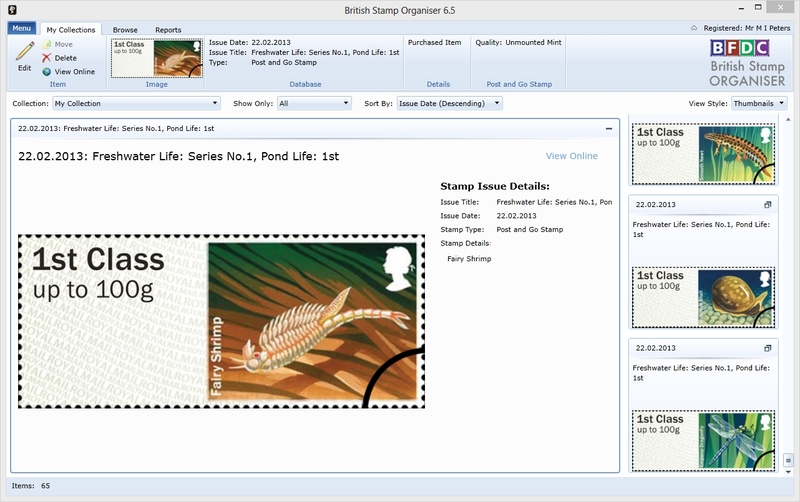 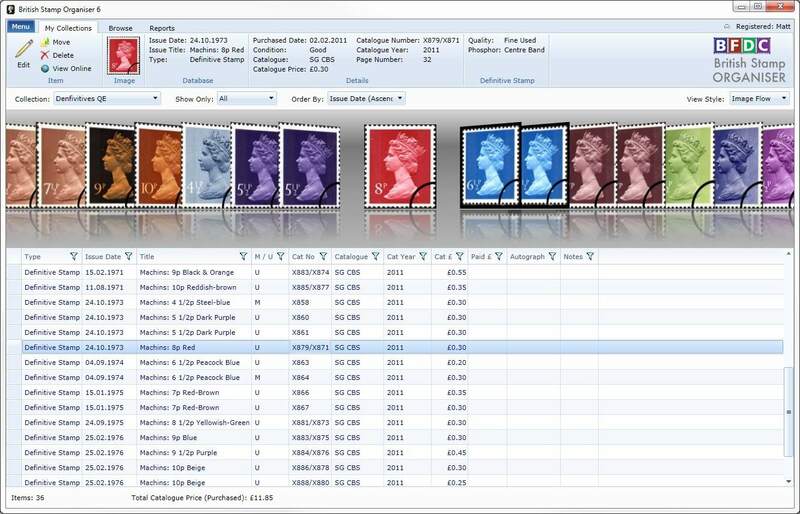 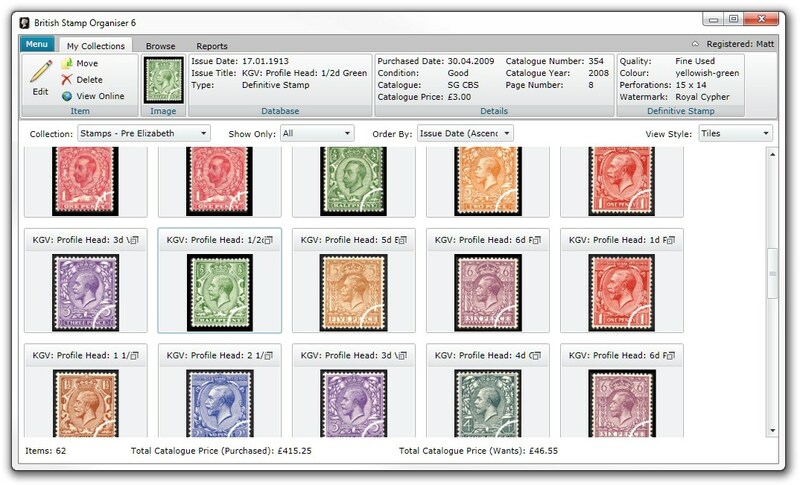 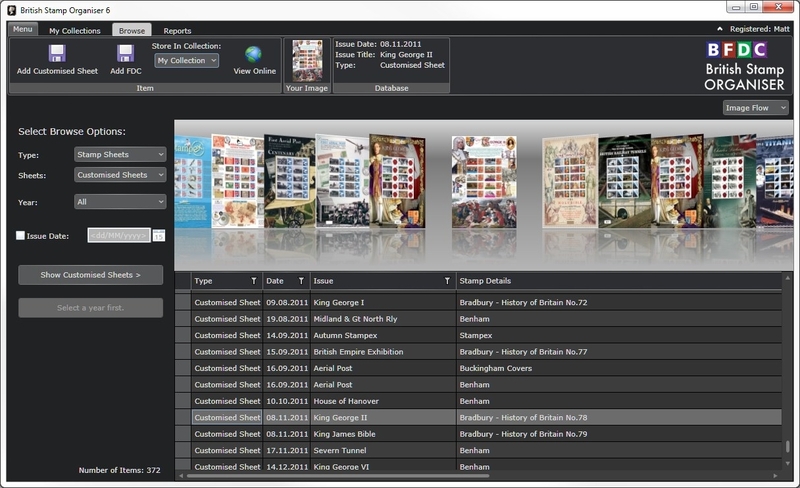 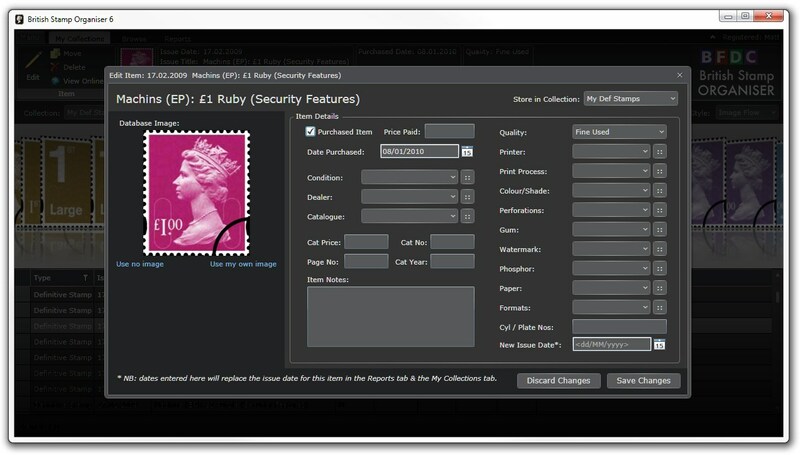 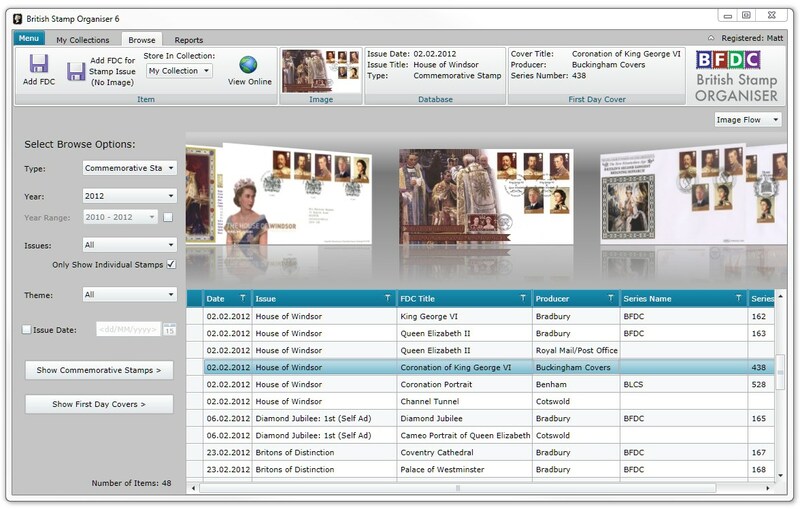 The British Stamp Organiser has three main areas, below are some screenshots. 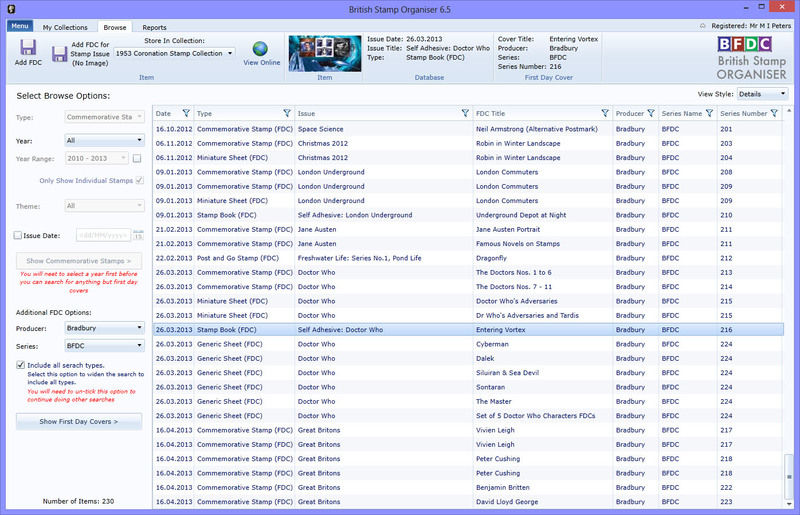 You can find out more about the organiser here. 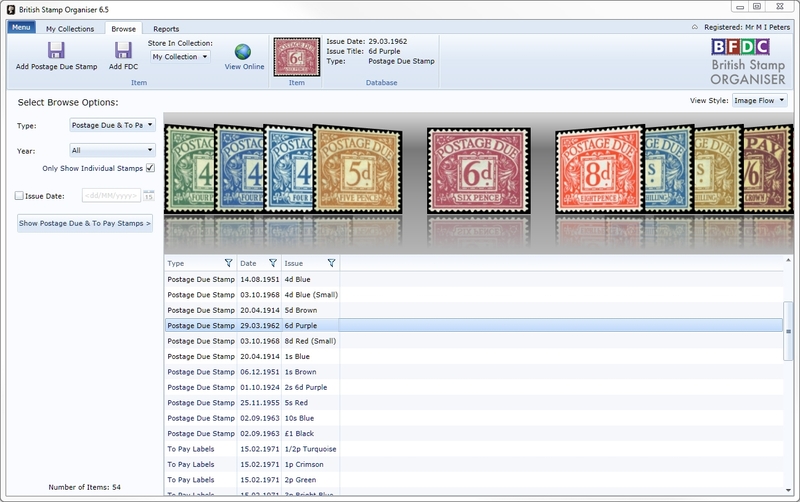 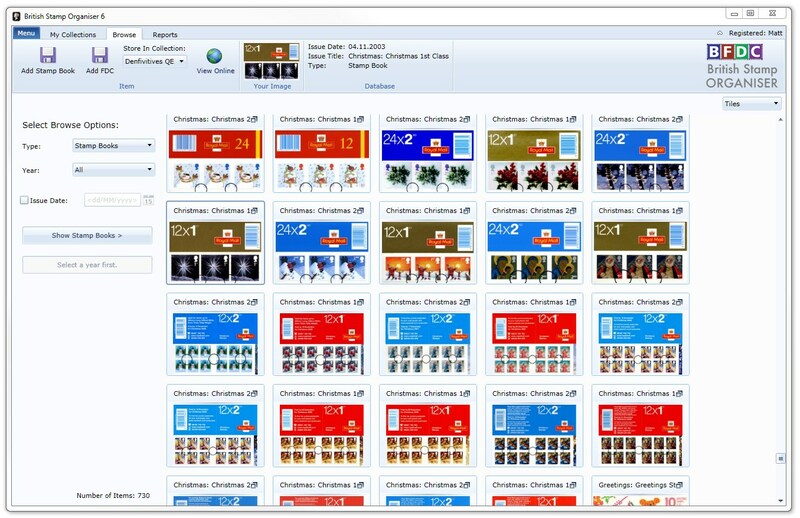 There are three different types of views available to use: Image Flow, Thumbnails and Details. 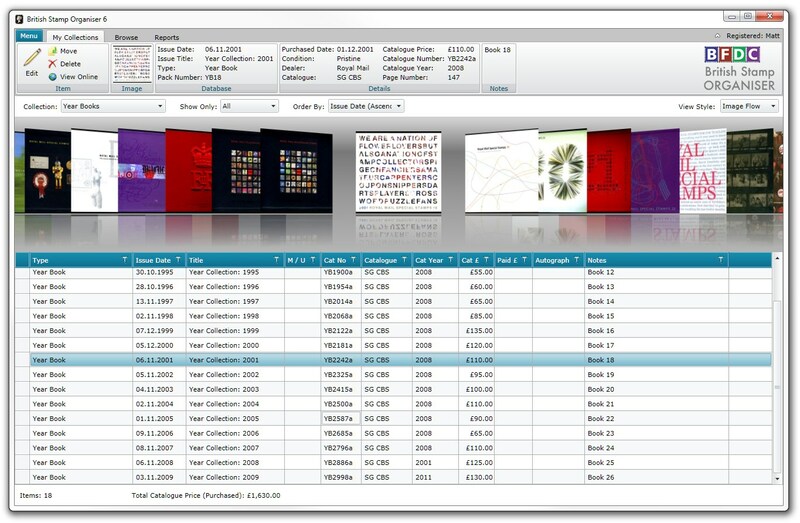 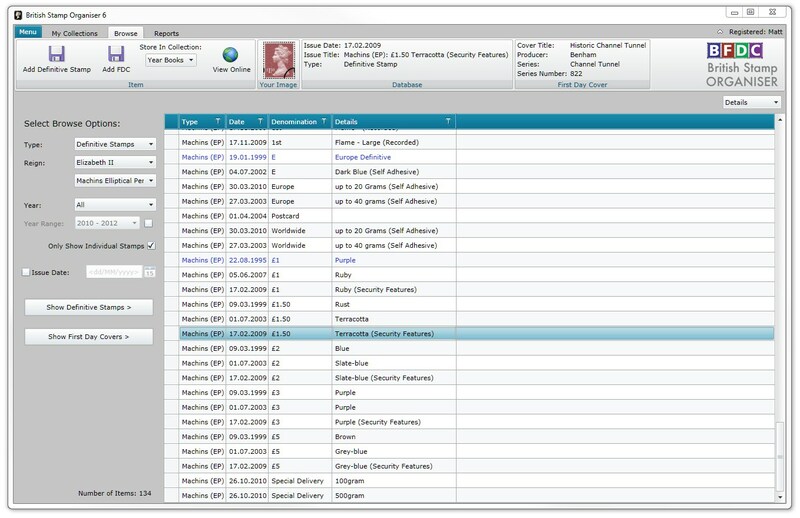 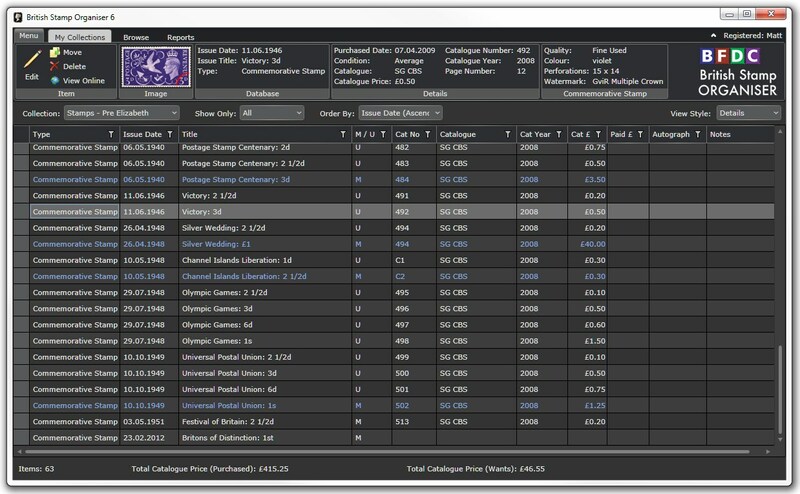 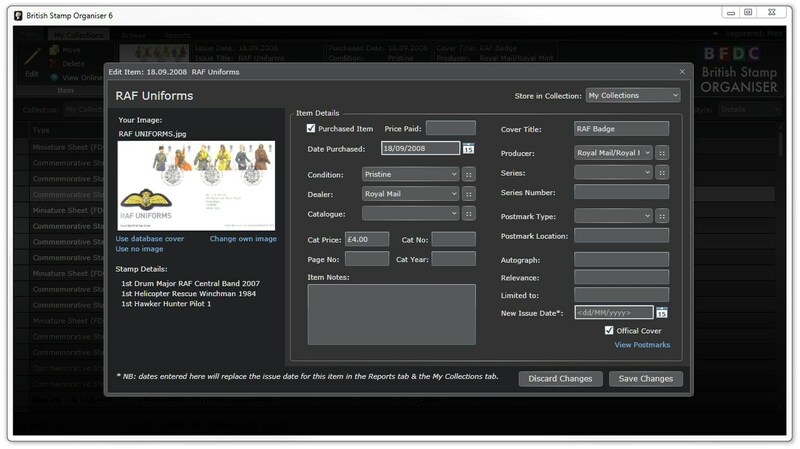 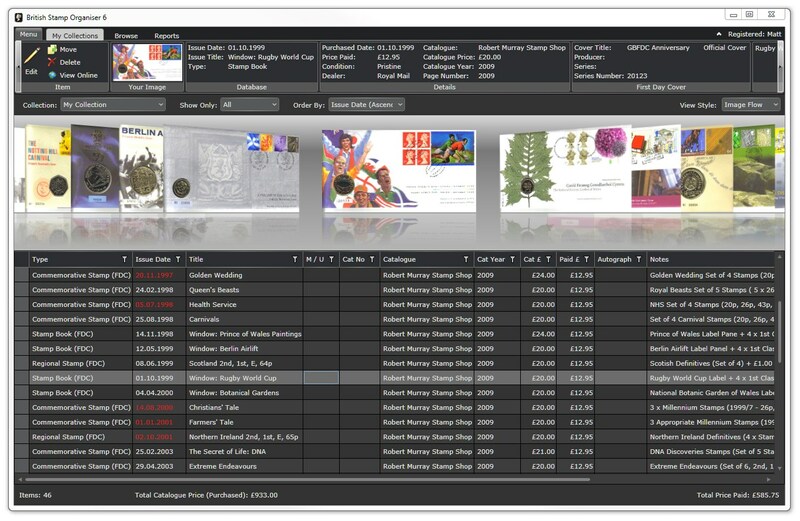 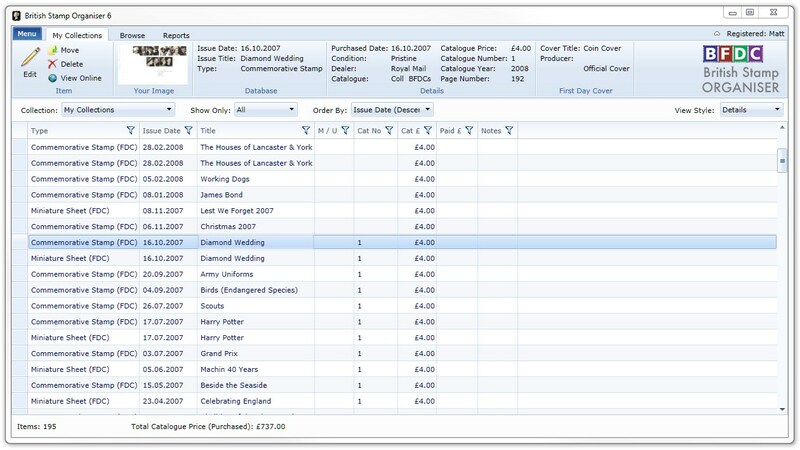 Create and print-out reports of your collections. 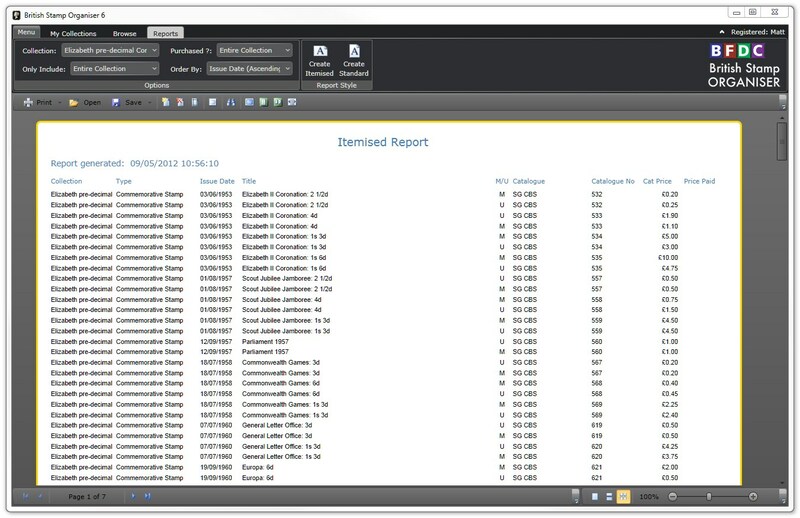 Reports are ideal for insurance and valuation purposes. 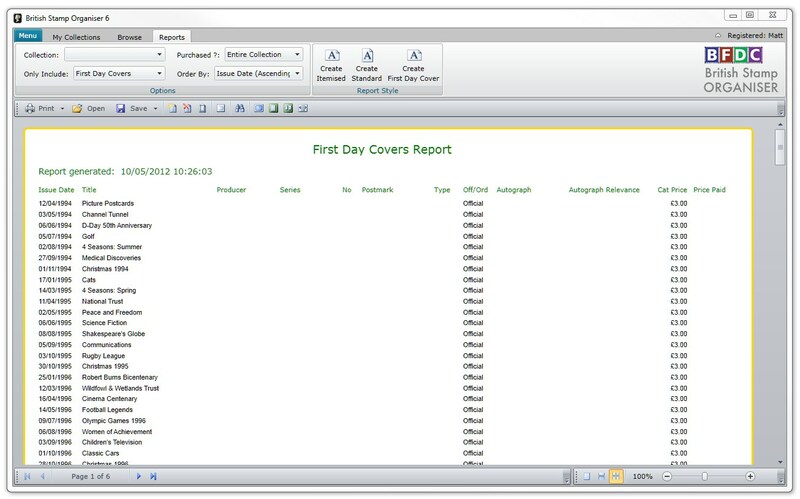 Your Reports can be exported to PDF and Word.